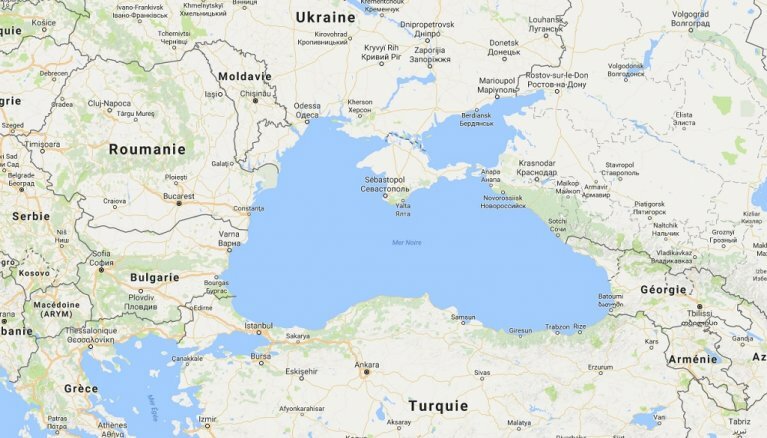 A new migration route to Europe is seeing the day - the crossing via the Black Sea, north of Turkey. In less than a month, 500 migrants have been intercepted in Romanian waters in their desperate attempts to reach the European mainland. Human rights activists are trying to warn of the perils involved in the dangerous crossing. Just before dawn on September 13, some 150 people, including around 50 children, arrived in Midia in eastern Romania after a near 12-hour rescue mission out in the stormy sea following a distress call from their vessel. It was the fifth boat of migrants plucked out of the waters by Romanian authorities since the beginning of August. Mircea Mocanu, head of the International Organization for Migration (IOM) in Romania, tells InfoMigrants that he is more than worried about what seems like a growing trend. “The Black Sea isn’t called the Black Sea for nothing,” he said. “It’s a very rough sea, with strong winds blowing in from Russia, whipping up waves that are several metres high. It’s a lot more dangerous than the Mediterranean.” With winter approaching, Mocanu warns that already by November, “the water will be very cold. Taking the Black Sea route will be ludicrous”. The Black Sea migrant route is not new, however. “In 2014, almost 430 migrants took it, and so far in 2017, 482 people have taken it. Mostly Iraqis and Iranians,” Mocanu said. He hopes that the numbers will stay low. Asked about the cost of crossing the Black Sea, he gave an estimate of between 1,000 and 3,000 euros. Another hurdle is the fact that Romania isn’t part of Schengen – an agreement which stipulates passport-free movement between some European countries. Instead, Romania has set up passport controls on its borders, automatically stopping and checking migrants who try to make their way to other European countries. “And that’s without taking into account the 700 kilometers they have to walk before reaching the Romanian-Hungarian border. It’s a long walk, and it’s difficult for migrants to not be discovered because of their language and the color of their skin,” Mocanu says. According to the Romanian border police, more than 1,200 migrants have been arrested since the beginning of this year in their attempts to reach the border separating Hungary from the rest of Europe. Last year, 900 migrants were arrested. The IOM estimates that around 80 percent of all attempts fail. And attempting to reach Serbia is just as futile. Barbed-wire fences now separate Serbia and Hungary, making it an almost impossible border to cross. Frontex, the European border guard agency, remains on alert but says it’s too early to tell to which extent the migrant routes to Europe are changing. “But what is happening seems to indicate that smugglers are trying to activate a route via the Black Sea,” agency spokesman Krzysztof Borowski says.